I quit eating red meat before I ever got to try a “real” one, but turkey reuben sandwiches are one of my very favorite things. The combo of rye bread, sauerkraut, gooey Swiss cheese, and thousand island dressing is just too perfect. These burgers combine all that is good about the reuben, and put it into a patty. If you are a true reuben lover, you’ll top your burger with even more Swiss, sauerkraut, and dressing. Slice cheese into quarters; you should end up with twelve 1inch x 1inch squares. Place meat, sauerkraut, egg, breadcrumbs, and caraway seeds in a large bowl. Use your hands to mix until well combined. Using a 1/4 cup measuring cup, divide the meat mixture evenly into twelve 1/4-cup portions. Flatten six of the portions into patties. 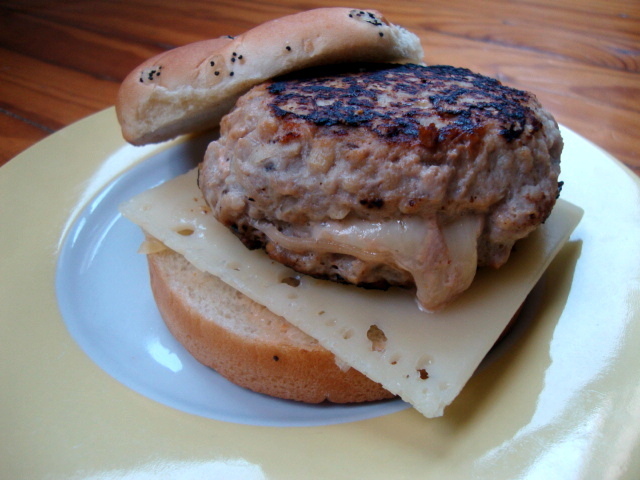 Place 1 tsp thousand island dressing and two cheese squares in the center of each flattened patty. 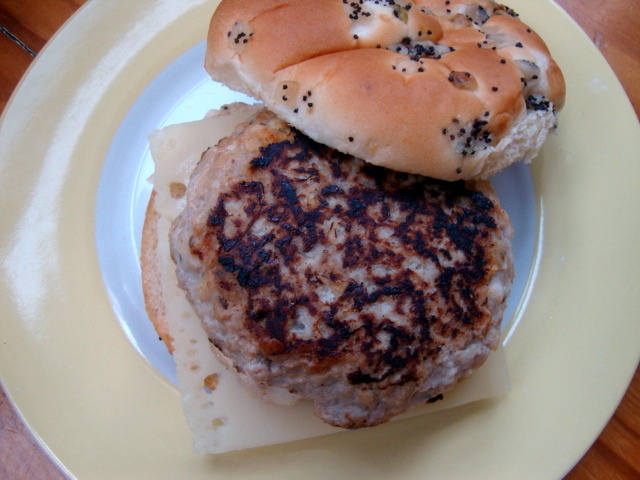 Top with remaining portions, pressing on the edges to “seal” the patties. Place a greased grill-pan over medium-high heat. Cook burgers until browned and fully cooked through; 5-8 minutes on each side.